Over the last year Rebecca Minkoff has become one of my favorite purse designers. The mini mac came on the scene and I've been obsessed with them since the first time I saw them...pretty amazing that I still haven't bought one though! The holiday season is coming faster than you think and Minkoff bags are topping my list (a few are on sale already!). 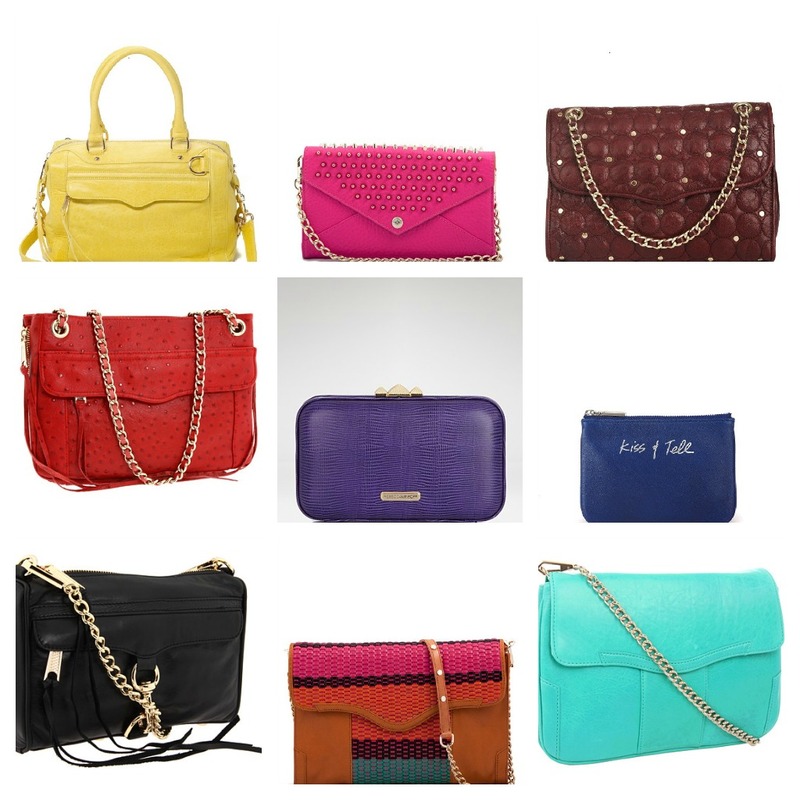 What are your favorite Rebecca Minkoff styles? She has definitely grown to be in my top 5 favorite of designers! Ugh. I couldn't choose! I do love the pink studs though! i love the Tiffany Blue one!! By far my favorite!!!!! I want a Morning After Bag so bad! I have a similar change purse, although mine is a wine color that says "Can't Buy Me Love."